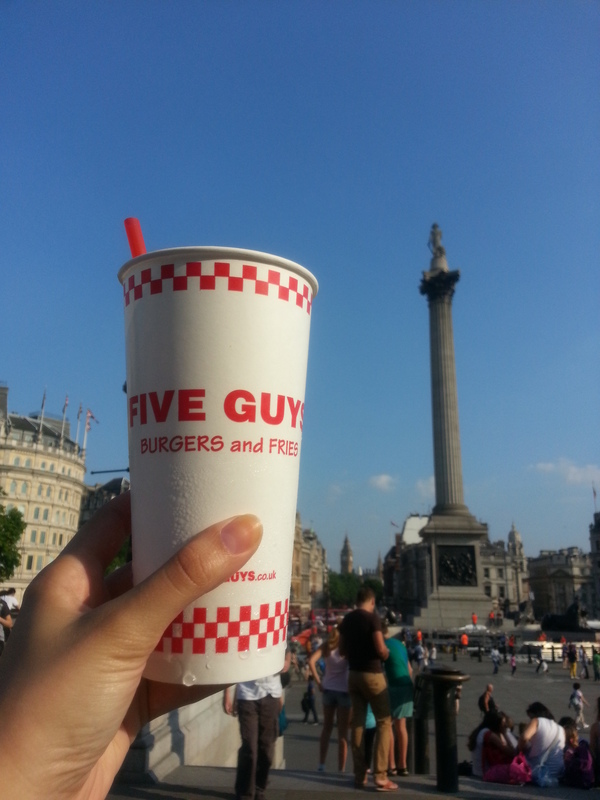 American fave Five Guys opened its first UK location in London on the 4th of July, so at the weekend Jeff and I popped by for some burger goodness! Once you’re done queuing outside (and expect to queue – it’s a busy place!) 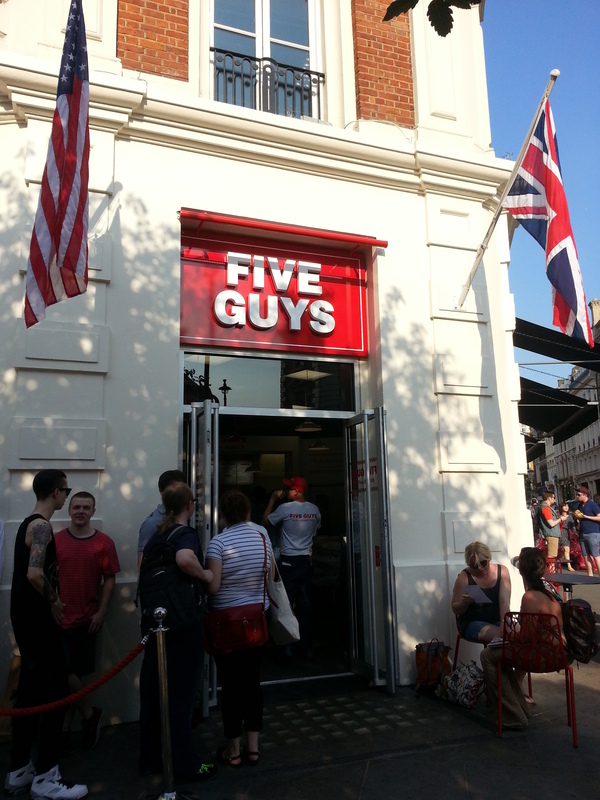 you’ll get inside to queue again (but only for about 5 minutes) until you get to the till to order. While you’re waiting? 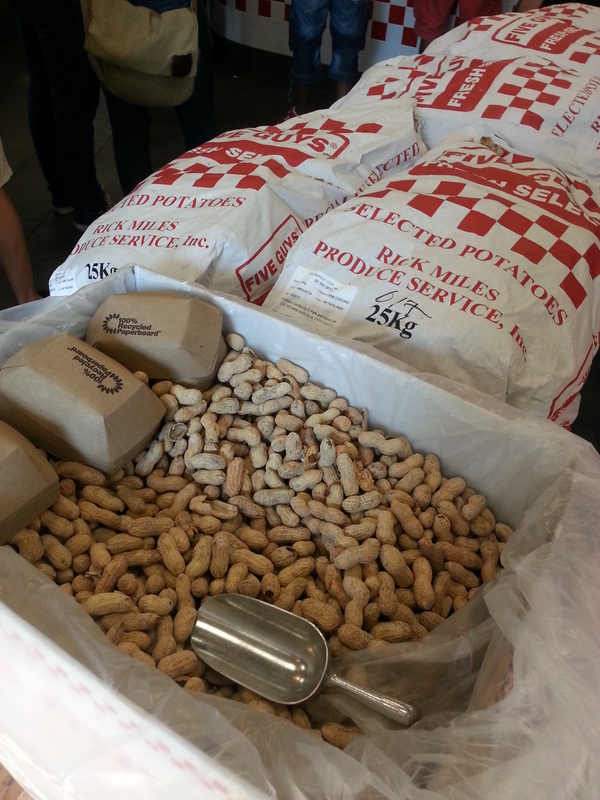 Peanuts to munch! Anyway, the restaurant looks exactly like the ones in the USA, and at least for the opening they’ve got a bunch of super cheerful American staff. (Hello new homesickness cure!) And the burgers…? I’ve died and gone to burger heaven! They’re so good! Like a double-heaven patty on a bun. The beef is the perfect balance of juicy without falling apart, chewy without being overcooked, and seasoned without losing the great beef flavour. Oh hell yes. Head my sister’s words on the portions though: regular burgers have two patties (hence why they cost so much) and the fries are shoveled into a cup and then another scoop into the bag. Just because. So size your order down! Jeff and I got the bacon cheeseburgers (a regular for him, a little for me), a regular fry (we ordered a large in the USA and brought 90% of them home for my brother to eat because there were too many for us) and two regular drinks. (MAKE YOUR OWN DRINKS MACHINE! Did you know Vanilla Sprite was a thing? Yup. And it tastes like sugary deliciousness.) And boy, we were STUFFED. We couldn’t even move for about ten minutes once we finished eating. Sadly, the burgers are too expensive for a weekday dinner for Jeff and me; because all that cost us £22.50. 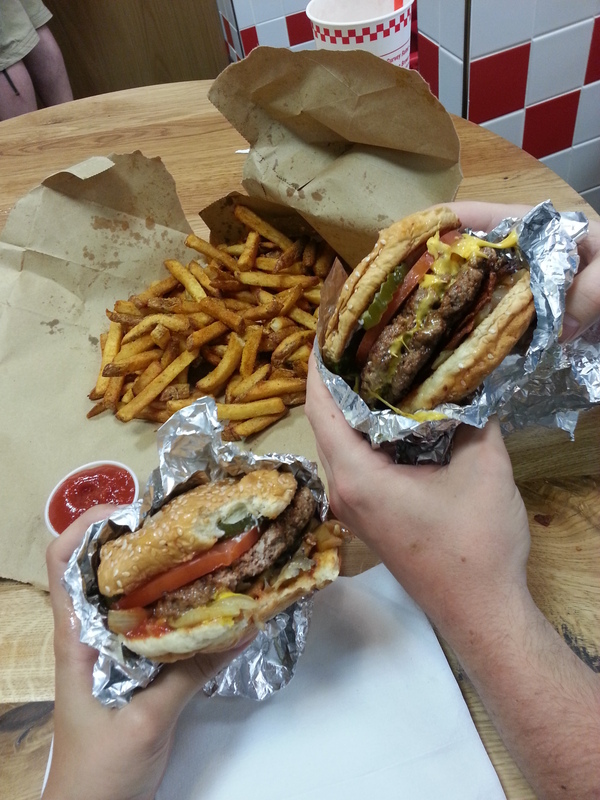 Looks like Five Guys is officially reserved for date nights… Good thing it’s my turn to pick the next date night venue! 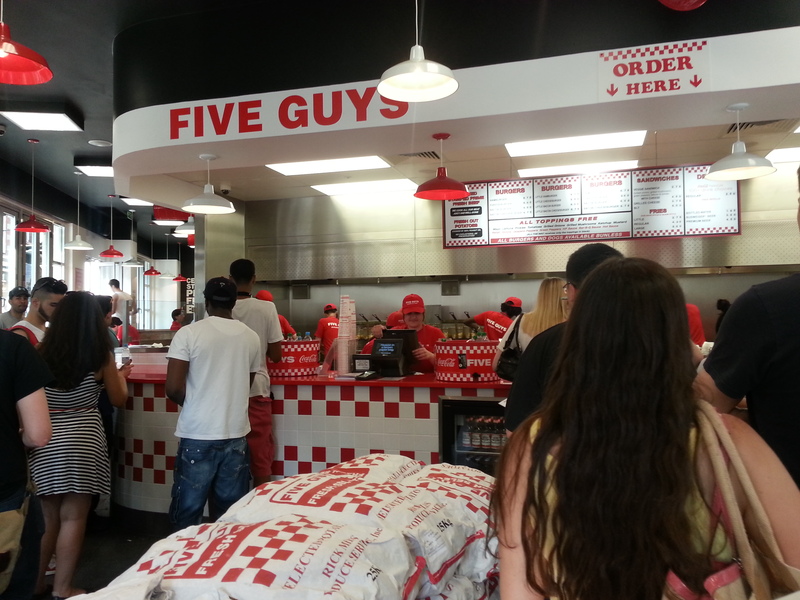 Tags: American Food, Burgers, Five Guys, Fries, London, USA. Bookmark the permalink.